"Our room overlooked the Ganges river which was wonderful." Have a question for Sita Guest House? "The distance and the approach to the guest house are suitable for the able-bodied and the not-so-old." "Location of the hotel is excellent." "The best part of my stay was how friendly and helpful the staff were with my needs." "All in all, a good place to stay." Sita Guest House, located in Dasaswamedh Ghat, Varanasi, is a popular choice for travelers. Only 30 km away, this 2-star hotel can be easily accessed from the airport. 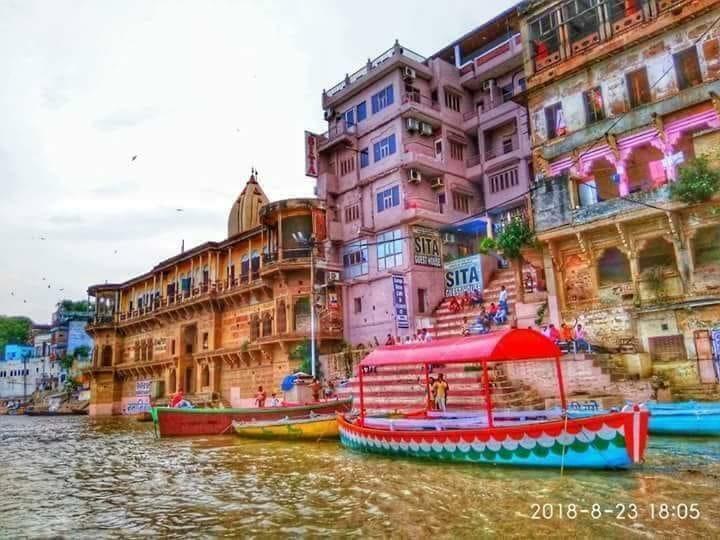 For sightseeing options and local attractions, one need not look far as the hotel enjoys close proximity to Ganges River, Banaras Ghats, Astronomical Observatory. 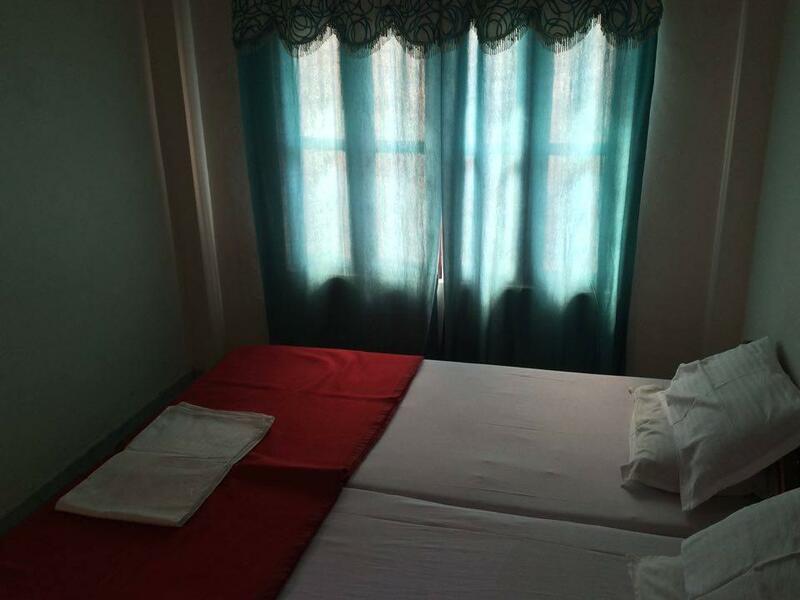 The facilities and services provided by Sita Guest House ensure a pleasant stay for guests. The hotel offers access to a vast array of services, including 24-hour room service, free Wi-Fi in all rooms, 24-hour security, daily housekeeping, taxi service. Step into one of 26 inviting rooms and escape the stresses of the day with a wide range of amenities such as television LCD/plasma screen, carpeting, linens, mirror, slippers which can be found in some rooms. Throughout the day you can enjoy the relaxing atmosphere of the boats, massage. Whatever your purpose of visit, Sita Guest House is an excellent choice for your stay in Varanasi. The distance and the approach to the guest house are suitable for the able-bodied and the not-so-old. So if you plan to book this place, ensure you do not have people who've difficulty in walking and climbing/alighting the steep stairs. The Housekeeping needs to be spruced up. They've excellent, helpful and courteous staff. Pandey ji the Manager, Vishu the guide, Manoj, Prashant and Yadav ji in the restaurant are ever so forthcoming. If the quality of the food improves a little more (since Varanasi offers a great cuisine), the place is an excellent one. The focus of the guest house however seems the foreign tourist. i'am however told that the Management soon plans to introduce a viable transport system from the motorable road to the guest house. All in all, a good place to stay. A great property if you want to be close to the Ganga. Right on the steps. Very close to The Ganga Arti as well. Also the Ghat is a very good for bathing as the steps are clean and go well inside the Ganga. If you stay in Room 407 the views are the best only other property with a similar view is Brijrama Palace with a price 46k per night plus taxes. So this room at 7k is a steal. The hotel is very good. Owner is very helpful. Room was nice with Ganga View. I would definitely recommend the hotel for young people. The main problem is the entrance. You have to use a remarkable numbers of stiff stairs for going to the hotel, which is very difficult for aged persons. Though the owner of the hotel gave us the way to enter from the first floor so we were able to avoid at least 50% of the stairs. This was my first time in Varanasi, so it took a little effort to find this place - literally, right on the river - but I'm happy about the location. The staff were really nice, the food upstairs was good and they were helpful in arranging a side trip to Sarnath. One must take into account the City of Varanasis as a whole when making a review. It is a very old city with mainly crumbling buildings, narrow laneways and lots of poverty. Our hotel was in a perfect location. Rooms are small but have all one really needs, without beig lavish. Pay a little extra and take a room with balcony overlooking the river and not stop movement. Very good food in the rooftop restaurant with pleasant service,although slow. But hat is all over India. Lovely staff, particularly Amid. He will go out of his way to make sure you see everything in Varanasis. He will also help with other travel plans and booking throughout India.He is more than just the perfect guid.Will be your friend. Yes, there is a great view of Ganga river from the hotel balcony, but getting to the hotel is a killer. After leaving the main road, one has to walk (no driving allowed or possible) for nearly half a mile of narrow winding dirty muddy lanes before reaching the hotel doorstep. Imagine the plight of the guests who have large suitcases with them. Definitely a killing proposition! Our room overlooked the Ganges river which was wonderful. You can see the sunrise from your room. There is a rooftop restaurant as well but the prices are a bit pricey. The staff was kind and helpful. Fantastic location and hotel where Goldie Hawn once stayed. Also, the local guide Ragesh has wonderful knowledge and conducts really informative walking tours. Note to Ragesh, please email me at ivor.yonder@blueyonder.co.uk as it will be my pleasure to build you a web site. I stay here for two nights and couldn't sleep at all because of the large packs of howling and barking dogs beneath the hotel windows. Even with earplugs. Managers botched our requests for pick up and drop off. This hotel is somewhat hard to get find but a local will help out- ask. Vehicles can't get down the narrow lanes that are above the Ghats. The rooms are clean and tidy- the food is fine and the roof top resturants has a 180* view of the Ganga. Your only 10 minutes walk along the river ghats to get to where the nightly Puja take place. Catch a boat at sunrise to view the new light bathing the ghats full of Hindus who come to this Holy river . Enjoyed our stay very much. Great location. Wonderful hosts. Food in the rooftop was good (we prefer to stick with the Indian menu), the hospitality was great. Contact the hotel for pickup from the airport. A taxi will leave you at the main road, about a 10 minute walk through narrow alleyways to the hotel. If course you will immediately be picked up by a guide, but knowing your guide is from the hotel makes the experience a bit more comfortable. Notes to management: a squeegee it mop in the bathroom would be really useful. Also a shelf for toiletries would be great. Difficult to rate this place, it's less a hotel than a run-down guest house. But it's overlooking the Ganges, and it's relatively cheap. The bed and room was big enough, comfortable bed, but quite shabby room. Don't expect it to be like a standard hotel. But the TV and Wifi and shower and hot water worked, though not strong water pressure. If you can cope with the basic standard of the hotel I would recommend this place because of it's location. The rooftop restaurant overlooked the Ganges River and served surprisingly good Indian food, all vegetarian. Booked into here on teh last day in V, was sick, so having the window facing the Ganges and able to watch life go by as I was runing to bathroom was priceless, I felt I had not lost a day. The hotel staff were ever so friendly, especially with me being sick, offers of any help, chekcing I was okay, THANKS guys. The building was run-down (balconies appeared to have fallen off, or where knocked off - rubble strewn at the base of the hotel. standard room was very basic - bed, mirror, chair. Bathroom had toilet, no sink, just a shower and tap, but at least it had hot water. Room was not clean, sheets had spots. Roof terrace was nice for meals and drinks. Staff friendly. Location, right on river, was good. Unfortunately, the hotel is overpriced for what you will get. The staff was trying to be helpful, but very unprofessional and clumsy in dealing with foreigners. There were about ten different men working, but they didn't communicate with each other, so everything had to be explained again when you returned to the lobby and there was somebody else. There were no women on staff. All rooms have a balcony to the Ganges. The rooms were moist, electrical fittings worked occasionally. Access to the hotel can be a bit tricky with luggage. Easiest is to go down to the main ghat and walk south along the ghats.Keep the balcony door shut if you don't like monkeys in your room. A old man was hanging out in the lobby trying to offer his services as a guide. He turned out to be an alcoholic and couldn't give more information about the sites than what you can read in your "Lonely Planet". Avoid the restaurant, better value for money can be found easily. Staff were very helpful; they picked us up from the main street (the hotel is difficult to find if you go through the alleys, but easy if you just go down to the Main Ghat, turn left, and walk for 5 minutes or so.) Staff also helped us with some do's and don'ts in Varanasi, offered to arrange trips (but were not pushy). The rooms were reasonably clean, about average in this region. The view from the rooftop restaurant is amazing, the food is good (not surprisingly Indian better than non-Indian), but takes a while to be prepared. (Shows it's freshly made, so fine with us).